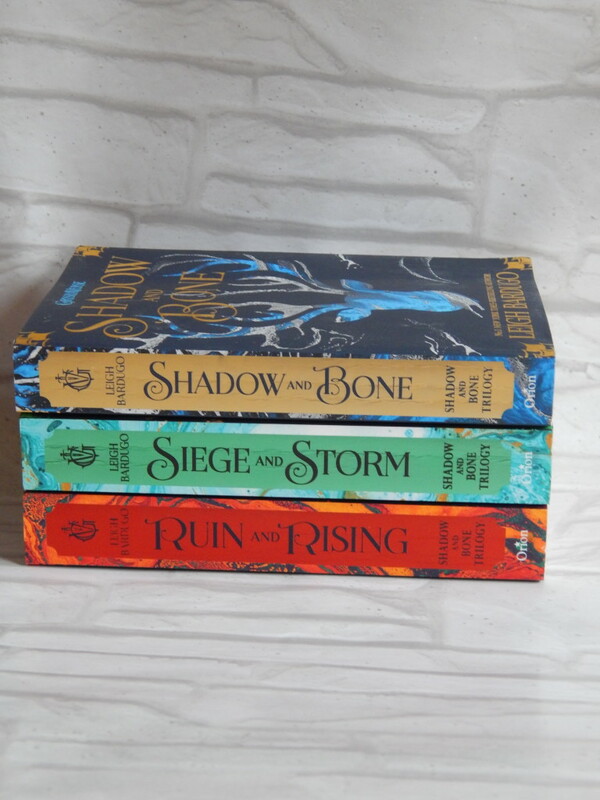 Although it has been a little while since I read Shadow and Bone, the first book in the Grisha trilogy, I knew I wanted to wait to review it. You see, I loved it so much that I went out and bought book two (Siege and Storm) the very next day. The same also happened when it came to the reading Ruin and Rising, the conclusion of the trilogy. Since I consumed this trilogy in such quick succesion, it made sense to me to review it as a whole rather than individually. I’ll do my best to write without giving away spoilers but that’s a tricky thing to do! It’s why I usually struggle to review sequels but I’ll do my best for you today. Let’s go ahead and start with Shadow and Bone (Book One). Shadow and Bone introduces us to Alina, a young map maker in the army who finds herself swept up into the dangerous and magical world of the Grisha. When she – and her fellow soldiers – are attacked, Alina realises she might have power too. Being a Grisha isn’t as glamorous as it seemed when she was growing up and she soon realises that she might not be able to trust those around her. By Siege and Storm, Alina has realised that her power is even stronger than she thought but that her enemies are too. She finds herself searching through the world of myth and legend to try and find a way to defeat them, desperately hoping that the stories of her land might hold the answers she seeks. Things ramp up again by Ruin and Rising (of course!) as Alina is forced to prepare for an encounter she has little chance of surviving. What I love about this series is that it is truly epic. As you can probably tell by the fact that my summaries have got vaguer and vaguer as they’ve gone on, each of these books is bigger than the next. They’re filled with twists and turns that have you desperately devouring the novels. The world that Alina lives in is neither safe nor honest which means that you spend a lot of your time unsure about who the main character can trust. Each of the characters are vivid and brilliantly written – some of them are some of my new favourite characters. I would read a thousand spin offs about them! I was invested in not only Alina but the different people she encountered too. I can’t really tell you who my favourite characters are without giving away some massive spoilers about the series but trust me when I say they are amazing! This is above all a dark fantasy adventure. It was captivating in ways I haven’t encountered in a long time. In fact, I think it now ranks among my favourite YA books that I have ever read. This is extra exciting for me when we consider that it is also about to be adapted, which means I get to see these characters in all of their glory all over again! I can’t wait. Have you ever read this trilogy? What did you think about it? Excellent! And yes, I’d read a spin off for just about every character haha. I’m just finishing up Ruin & Rising, as I’m rereading them before King of Scars comes out later this week.